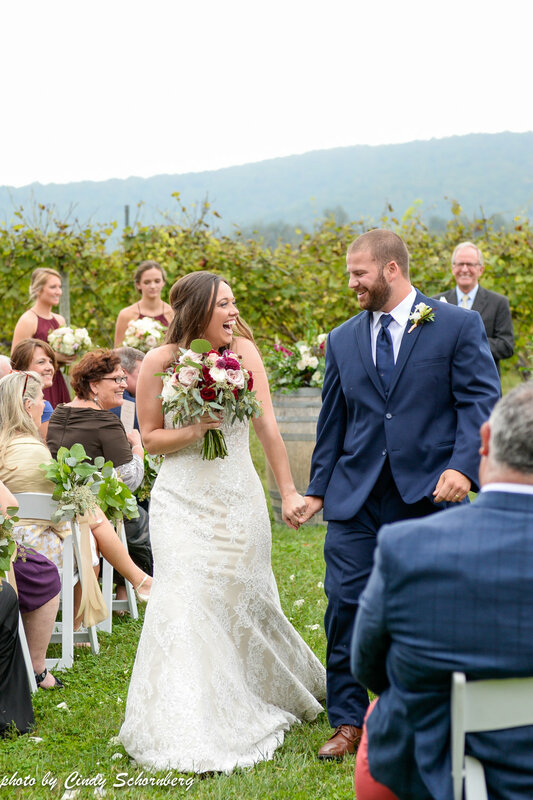 With great big open arms, Keswick Vineyards welcomed the fall season with the marriage of Alexis and Geoff on Saturday, October 6th, 2018. 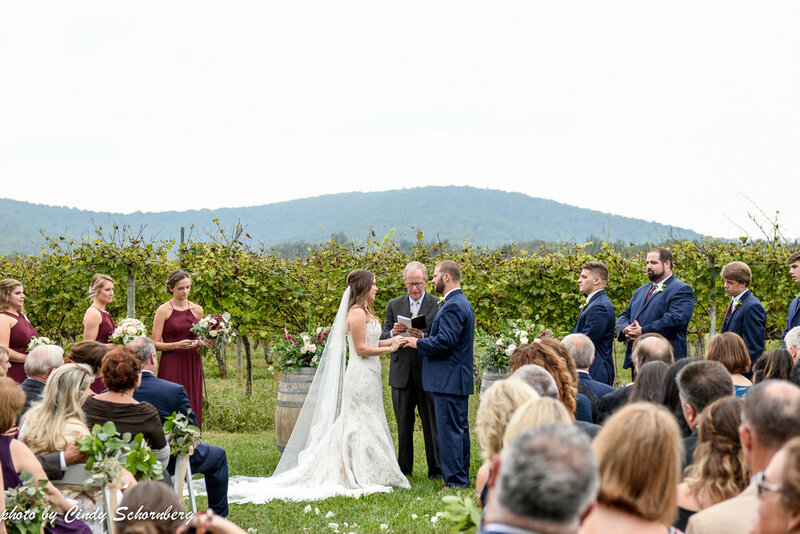 With the cooler air and crispness of fallen leaves, mixed with the burgundy, gold, and navy colors, it was a beautiful way to start our fall wedding season. 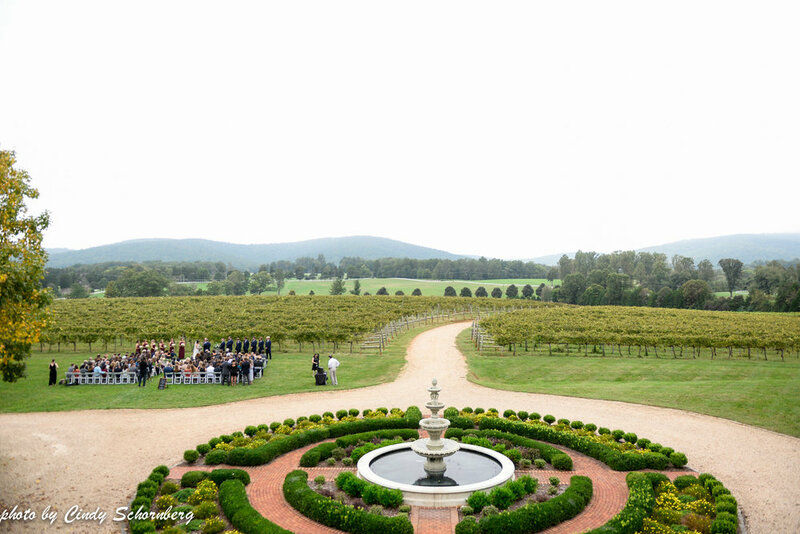 We could not be more excited to have Alexis and Geoff’s wedding kick off our fall season! What is fall without sports? Alexis and Geoff are HUGE Capitals fans and they decided to surprise each other with Capitals memorabilia. We love when couples gift each other something, along with a letter that shows their affection for one another. Geoff’s gift to Alexis was a Capitals jersey, which is so different than the typical jewelry that brides receive from their groom. We absolutely loved it! 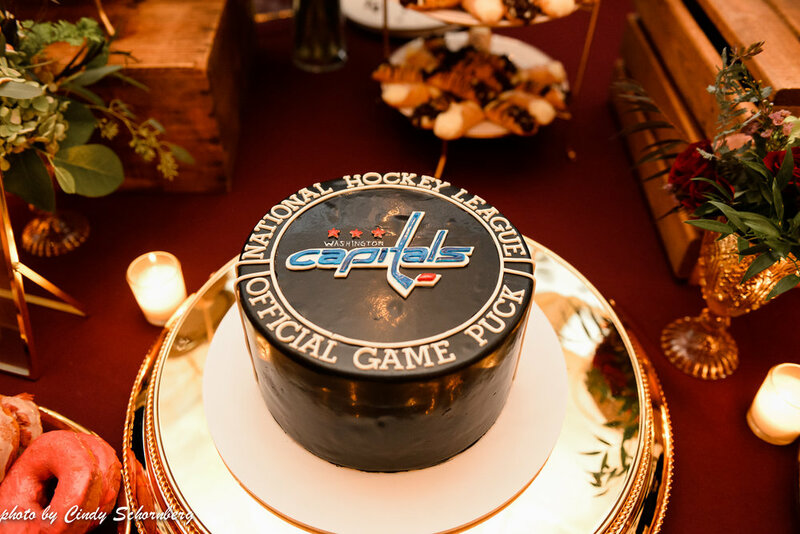 As for Geoff, Alexis surprised him with a Capitals cake that was placed amongst the rest of their scrumptious desserts. I don’t think that we have ever had such big Capitals fans at Keswick Vineyards! 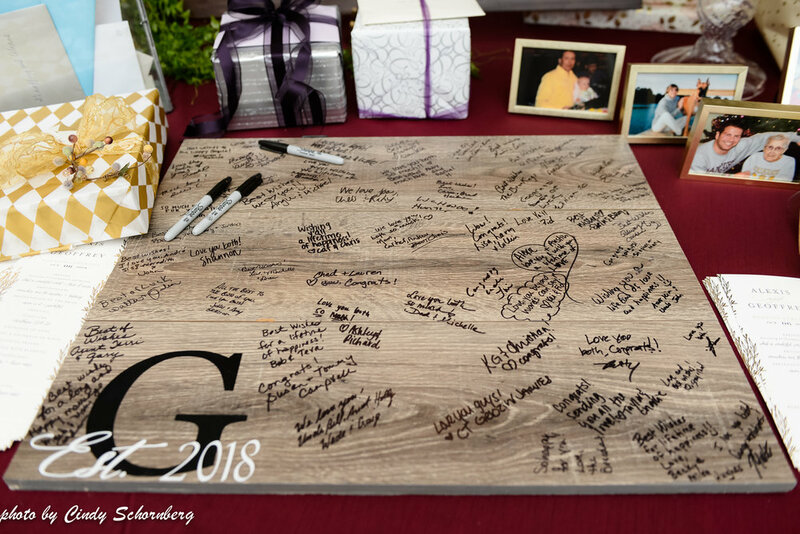 Another unique item that we loved was the guest sign-in book that had a “G” for their last name. 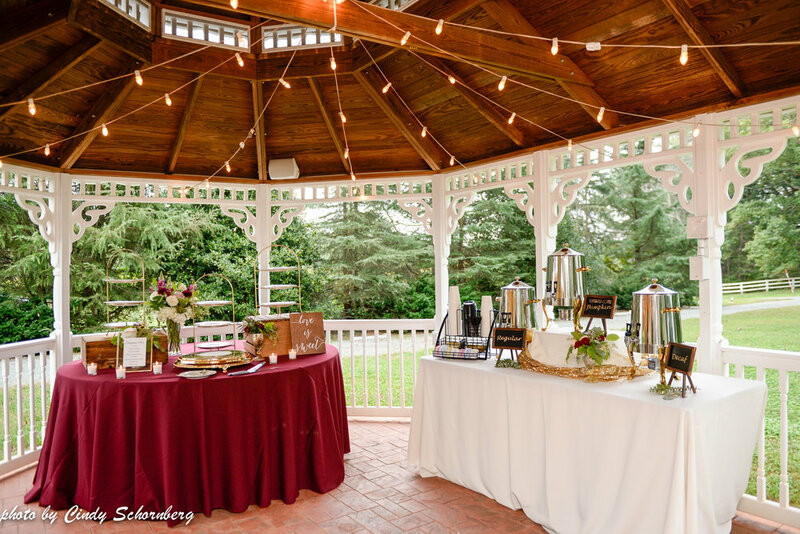 The wood matched perfectly with the fall theme that the wedding possessed. What’s more special than placing this in your house after your wedding for years to come? A huge hit that we’ve seen this year is the large head table for either the wedding party or the family of the bride and groom. 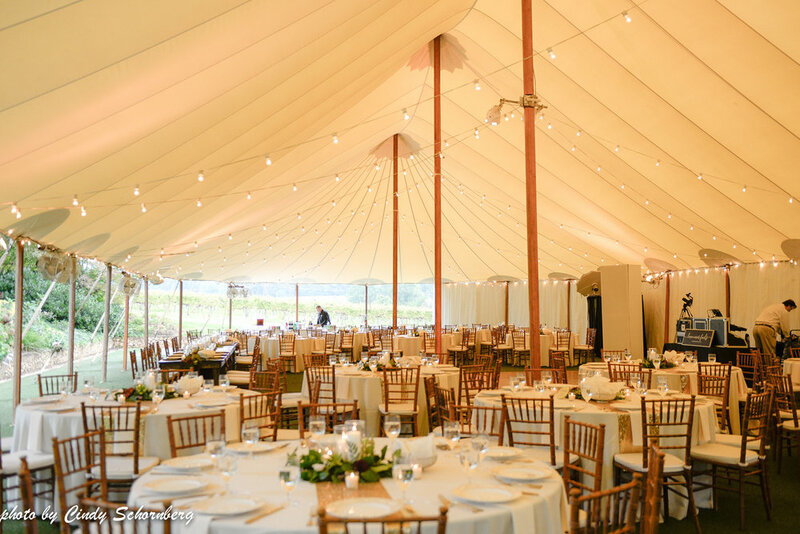 While every head table’s decorations are unique (this one had burgundy drapery that ran down the middle of the table with pillar candles of various sizes), it’s a great way to add a little more decoration to the tent and place the spotlight on the most important people of the wedding. 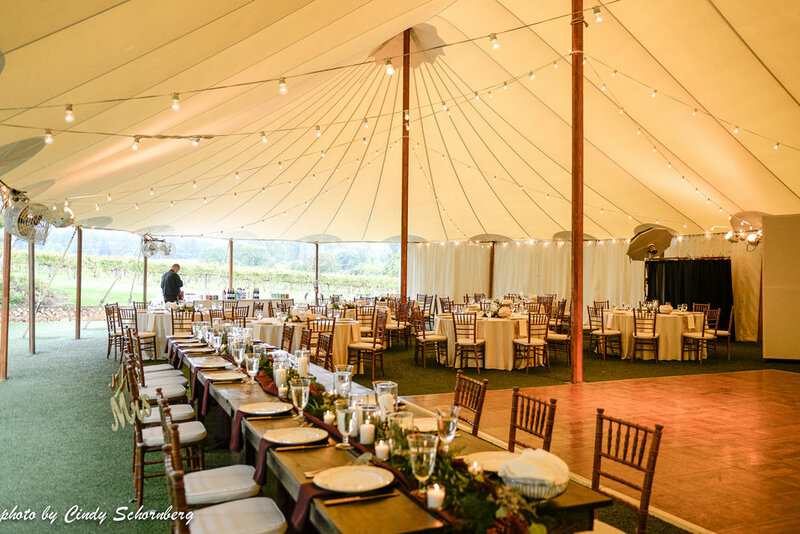 With the dance floor placed directly in the middle of the tent, it’s perfect to have the head table at the top of it so that the Bride and Groom can partake in the fun of the night and have the best seat in the house! 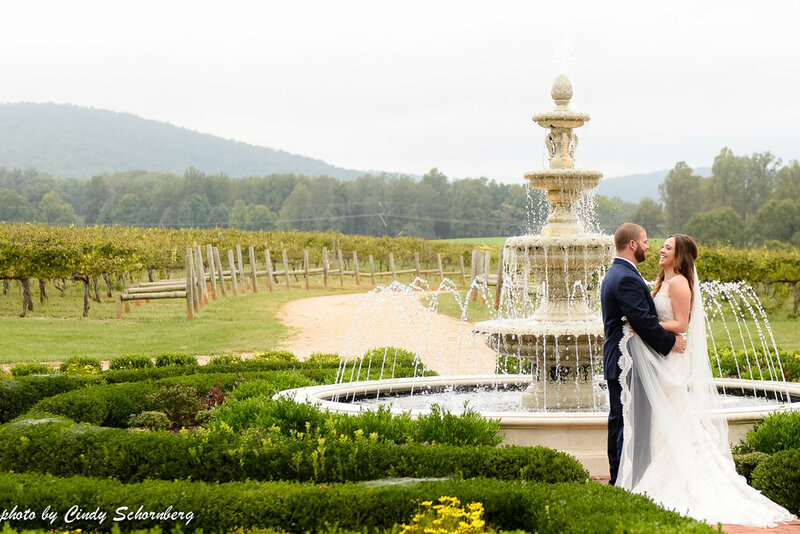 Congratulations, Alexis and Geoff! 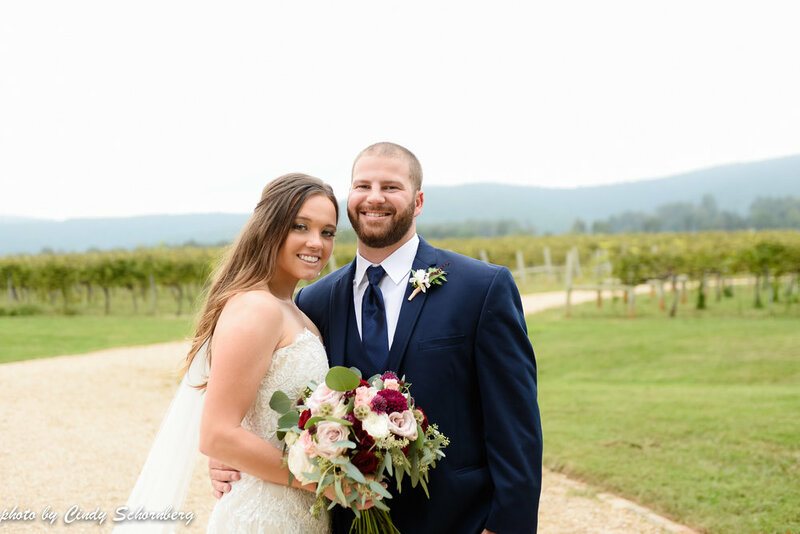 We hope that you enjoy your lives together just as you enjoyed your wedding! Event Planner: Tess Lohr, Officiant: Doug Tanner, Caterer: Goodrich Gourmet, Desserts: Duck Donuts, Wegmans, and Commonwealth Cake Company, DJ: Greg Tutwiler, Photographer: Heather Dodge, Videographer: Pretty Elektrik, Photobooth: Lisa Killham, Hair and Makeup: Ahead of Hair, Florist: Foxtail Cottage, Transportation: Camryn Limousine, Rentals: Bride and Joy and MS Events, Lighting: Skyline Tent Company.